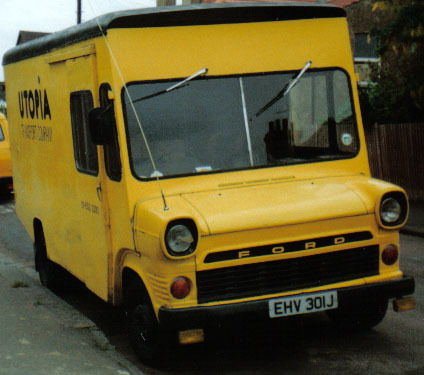 EHV 301J, the first Utopia vehicle, pictured in 1992 shortly before it was taken off the road. A true workhorse, it has been known to tow fully loaded HGVs out of trouble without a complaint! Having been around the clock twice, crossed Europe several times (and braving the Finnish winters for years), it has been a true testament to Ford, and now sits in one of our depots awaiting a happy restoration and graceful retirement as the company mascot.